Why Rich Dad World PowerPack? Get access to powerful Rich Dad products – a $1000 value – yours FREE. The PowerPack includes the Choose to Be Rich online home study course, and much more. This is Rich Dad’s way of helping people succeed financially in this uncertain time. Get yours today and Share With a Friend! the Rich Dad World PowerPack! phone about special offers from Rich Dad. 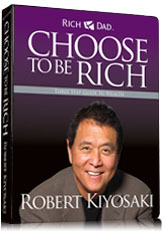 Rich Dad’s You Can Choose to Be Rich, the 3-Step Guide to Wealth is yours free when you sign-up. Thousands of this popular course have been sold for $220, but the online version has been updated and is available at no cost. In this powerful course, you’ll learn to Think it, Learn it, and then Do it and you find out what the rich do that the poor and middle class do not! Access Choose to Be Rich Now. Members of Rich Dad World get free audio selections from the book that started it all. Select portions of Rich Dad Poor Dad, the #1 best selling personal finance book of all time are included in a streaming audio version free with your registration. Begin to change the way you think about money and what it means to get out of the rat race through Robert Kiyosaki’s lessons he learned from his Rich Dad and his Poor Dad. Get it today. Plus Two Free Bonus Gifts! 1. Free Rich Dad QuickStart Profile to help you get started even faster! 2. 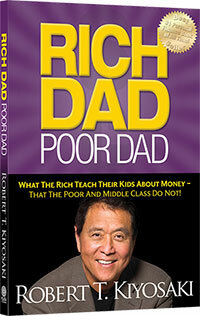 Free Excerpts from Best Selling Book, Rich Dad Poor Dad!